What had happened to my beautiful boy? To our family? What did I do wrong? 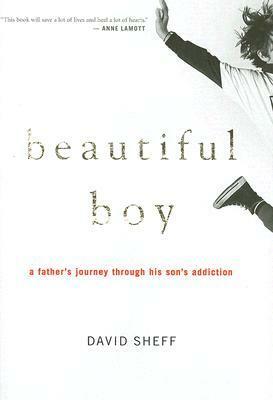 Those are the wrenching questions that haunted every moment of David Sheff ’s journey through his son Nic’s addiction to drugs and tentative steps toward recovery. Before Nic Sheff became addicted to crystal meth, he was a charming boy, joyous and funny, a varsity athlete and honor student adored by his two younger siblings. After meth, he was a trembling wraith who lied, stole, and lived on the streets. David Sheff traces the first subtle warning signs: the denial, the 3 A.M. phone calls (is it Nic? the police? the hospital? ), the rehabs. His preoccupation with Nic became an addiction in itself, and the obsessive worry and stress took a tremendous toll. But as a journalist, he instinctively researched every avenue of treatment that might save his son and refused to give up on Nic. I never understood the appeal of meth. It’s made in clandestine labs using an array of chemicals that are flammable and hazardous to your health. The drug is highly addictive and has dangerous side-effects. Your teeth fall out, your jaw collapses, you get those ghastly sores and ulcers, your cheeks become hollow, and your eyes are sunken in. And that’s only on the outside. On the inside, your brain looks like Swiss cheese, you become paranoid, irritable and even violent. At one time, cocaine was my drug of choice. No fancy paraphernalia, no needles, and it’s a plant derivative. The high doesn’t last as long and if I want to stop, there are no physical withdrawal symptoms. Plus, it had the added benefits of keeping my weight down at its lowest, making me the life of the party, and acquiring more friends than I knew what to do with. So it has to be healthier for you, right? Who was I kidding? My job performance suffered, I became paranoid, I was hardly eating at all, and I slept only sporadically. There were nosebleeds, jitters, dry mouth, running nose, and depression. There was the scary emergency room visit for an asthma attack during a party where drugs, alcohol and cats were rampant. My neglect to mention my drug use to the doctor treating me nearly caused me to have a heart attack. One morning I woke up and decided enough is enough. My love affair with the drug was over as quickly as it started. Since that day, I never touched the stuff again. I’ve read stories about drug addicts, but none told from a parent’s perspective. Nic Sheff, a college student in his early 20’s, continues to battle his addiction. This is a beautiful and painful story told by his dad. He’s not a perfect man and he’s made a lot of mistakes, but there was never a doubt in my mind that he loves his son dearly. Through the ups and down of Nic’s addiction, his dad’s constant worries and fears ultimately affected his health until eventually he sought the help he needed and learned to create healthy boundaries. I’m looking forward to Nic’s story – what made him start using, his relationship with his parents and siblings, and the effects his parents’ divorce had on him. All I can say is I’m glad I don’t have kids.